Today’s post is special! We want to introduce Zach Asher to all of you. Zach is a local fitness reference. Zach runs an interesting and very different Instagram page with an audience of over 12K! Go, check it and follow him to understand what we mean by that!! We are pleased to announce that Zach is a member of FitFest Oxford’s Tribe and he will provide all of you with some handy tips regarding healthy eating and training techniques. So, keep an eye out for future posts! I was born and raised in Zimbabwe, before moving to the UK in 2010 to finish high school. I had always been quite active during my schooling career, playing nearly every major sport at some stage or another. However, my focus was endurance sports, namely Triathlon, where I made the national junior team; and athletics, where I represented my school numerous times for long-distance running events. Due to my endurance sports background and ectomorph body type, I was always pretty skinny and lacked confidence because of it. I was always afraid to stand up for myself, so towards the end of high school, I decided to make a change and hit the gym in the hopes of packing on some more muscle to earn the respect of my peers and of course attract the girls. However, I started really enjoying the process and it became so much more to me than just a means to an end. When I moved to the UK to finish high school, I struggled to fit in, so I began spending a lot more time in the gym. Unlike Zimbabwe back then, I also suddenly had proper access to the internet, so would spend hours on end researching the most effective diet & training methods, then putting them into practice. After training at my local gym (Gambaru Fitness) for a while, I was encouraged to enter a local bodybuilding competition. Even though I didn’t feel ready, I took the plunge and just went for it. It was one of the most nerve-racking things I had ever done, but I was hooked. After moving to Oxford in 2013 to study mechanical engineering, I also founded and ran my university fitness society (MASS). As part of that society, I competed in the 2015 Student Physique Championships, placing 3rd, and a regional powerlifting competition, where I placed 2nd. I then did the Student Physique Championship again this year, before most recently doing the 2017 BodyPower Fitness model search. My goal is to get qualified as a PT, continue progressing and working my way up the fitness industry. I want to help others become the best versions of themselves, both mentally and physically, as I believe fitness can develop characteristics that will benefit you in every aspect of life. I jumped at the opportunity to get involved with FitFest because it’s about promoting a healthy & balanced lifestyle, which I’m all about. It will also be a great opportunity to meet likeminded driven people and help expand my network. I look forward to seeing you all there. 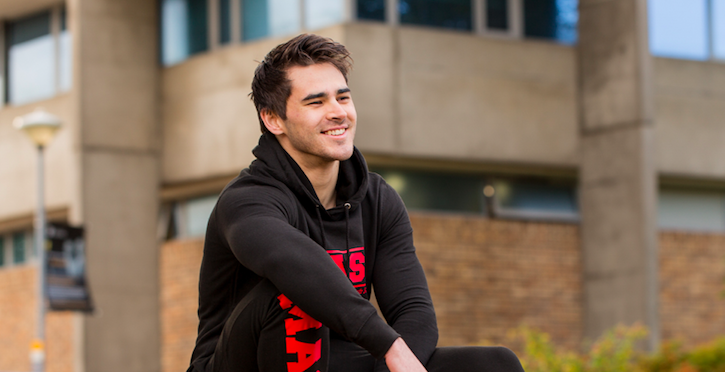 Register your interest to attend FitFest Oxford 2018 and meet Zach!